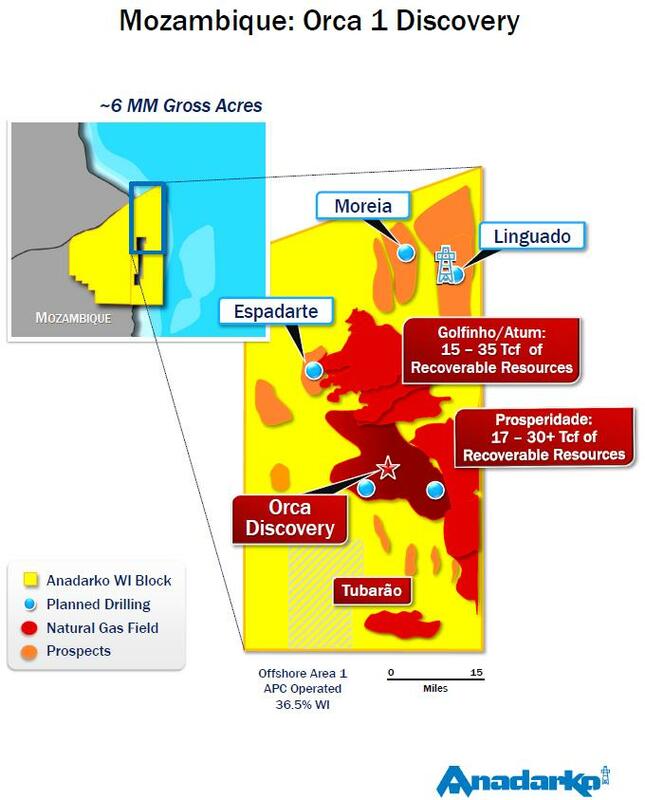 Anadarko Petroleum Corp has announced the discovery of a new natural gas accumulation fully contained within the Offshore Area 1 of the Rovuma Basin of Mozambique. The Orca-1 discovery well encountered approx. 190 net feet (58 meters) of natural gas pay in a Paleocene fan system. The Orca-1 exploration well was drilled to a total depth of approx. 16,391 feet (4,996 meters), in water depths of approx. 3,481 feet (1,061 meters). Anadarko is the operator in the Offshore Area 1 with a 36.5-percent working interest. Co-owners include Mitsui E&P Mozambique Area 1, Limited (20 percent), BPRL Ventures Mozambique B.V. (10 percent), Videocon Mozambique Rovuma 1 Limited (10 percent) and PTT Exploration & Production Plc (8.5 percent). 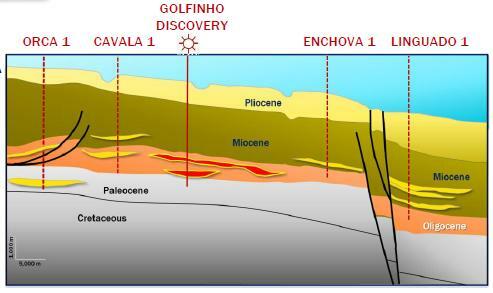 Empresa Nacional de Hidrocarbonetos, ep's 15-percent interest is carried through the exploration phase.